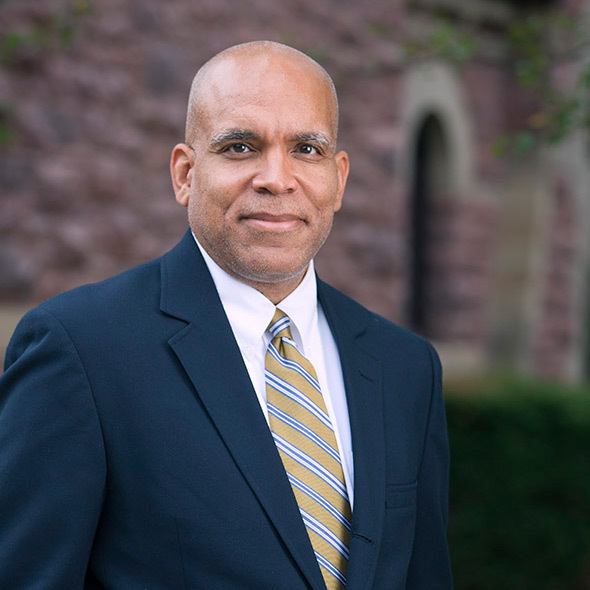 A leader in medical research and higher education, Raynard S. Kington, MD, president of Grinnell College, will deliver the Martin Luther King Jr. Distinguished Lecture at noon Wednesday, Jan. 23 in the Prem Sahai Auditorium, Room 1110 in the Medical Education Research Facility. The event is free and open to the public. A reception will follow in the Jean and Renee Robillard Atrium. In national leadership roles throughout his career, Kington has been a strong advocate for immigration reform and increasing access to education. Grinnell’s diverse student body, where 31 percent are domestic students of color and 19 percent are international students, reflects Kington’s commitment to bringing together diverse perspectives. …The challenge in balancing my responsibilities as president with my personal beliefs is made even more complicated because I am African American and openly gay. There are still relatively few openly gay presidents and relatively few African-American presidents, especially among highly selective institutions; I feel a real need to represent, in a sense, those communities in the public sphere where I perhaps have a platform that is not readily accessible to many from the LGBT community and communities of color. Does that responsibility, if it exists, supersede my personal or professional responsibilities…? I believe…[it] requires a real effort to think about each issue and its relationship to my personal obligations and my obligations as a president of this particular institution, with its particular mission and history. I’m often asked for my opinion as a physician, scientist, college president, or an individual. I try to answer honestly, but with my personal opinion and not with a public position that could be portrayed as institutional opinion—that’s an important distinction. The separation is often hard to discern, and others may not readily understand that my opinions are not the college’s official position. The role of colleges as places whose missions require the open debate and analysis of all ideas has never been more important, and our ability to assure open debate is harmed when our institutions too readily take a position on a controversial issue. The hard part for those of us in leadership roles is deciding how close to our mission an issue must be to warrant our taking a position, and then separating our personal opinions from our public positions. There will always be this tension as we try to get the balance right. And we may not always get it right — but we are always obligated to try.